The Standards / Controls are a key element of RM Studio’s methodology and functionality.The Standards, such as ISO/IEC 27001:2013 or General Data Protection Regulation (GDPR), are deployed and then users can execute the Gap analysis of the requirements and regulations. RM Studio provides the ISO/IEC 27001 Standard in its entirety, which includes the clauses and Annex A along with the Implementation Guide (ISO/IEC 27002). 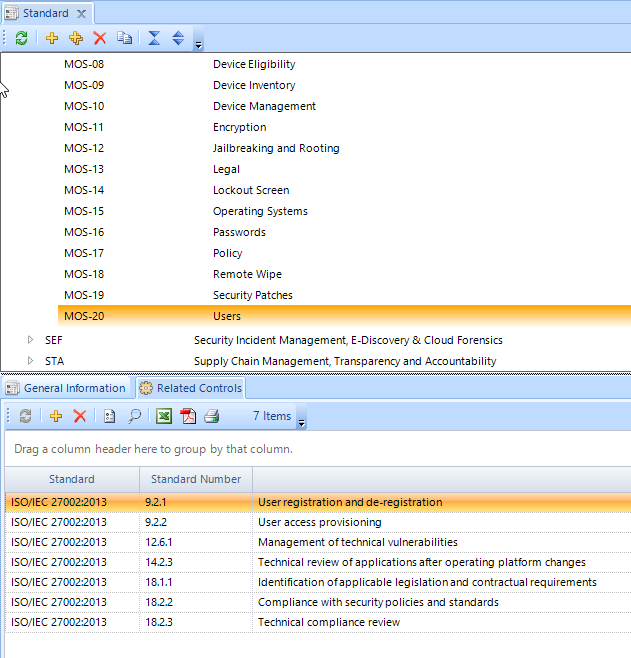 Additional Standards can be added to the RM Studio license and deployed in RM Studio. Standards can be used independently or users can group and compare multiple standards together, when trying to meet the requirements of more than one standard. An example scenario might be an organization has implemented the ISO 27001 standard, but now must comply to the EU GDPR prior to May 2018. 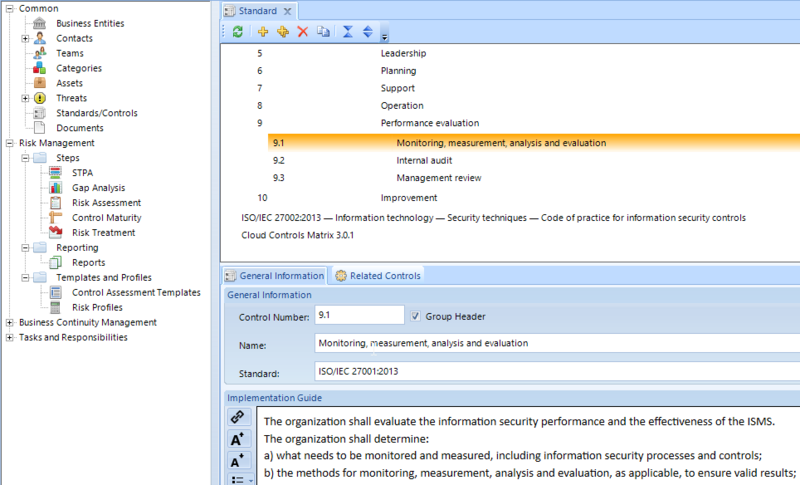 Users can import standards, regulations, or controls and add to deployed standards in RM Studio or keep as a user defined standard or control set. The controls from a standard or control set are assessed in the Gap analysis and used in the Risk Treatment process.